Sad news for Nigoro and Nintendo Wii-owning MSX fans around the world as Nicalis, the publisher of the English version of La Mulana has suddenly decided to cancel this WiiWare release. 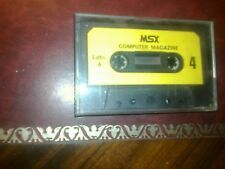 Unfortunately MSX fans will never be able to play this great game, that celebrates the history of Konami MSX games, with current poll leader Maze of Galious in particular. In an interview with Go Nintendo, Tyrone Rodriguez of Nicalis explains the reasons for pulling the plug on the project. Initially the game was to be released much sooner, but a (failed) attempt of Nigoro to get permission from Nintendo to add downloadable content to La Mulana pushed the release back by 2 years. Now, only a fraction of the potential WiiWare customers are left on Nintendo's dated digital download platform. The good news is that Nigoro has announced an international PC version of La Mulana, which is almost ready to be released. With that, it appears that Nigoro are going back to their roots, as La Mulana initially started as a PC game, which first got noticed on MSX Resource Center 10 years ago. I hope they port the game to other systems than Windows tho. A nice cross-platform download on Steam would do the trick just fine! Sad news! It's a great game with or without MSX references. It could be great title for many platforms but... an MSX/MSX2 version is much needed. Ah... We still got the original La-Mulana. Nothing wrong with that one. an MSX/MSX2 version is much needed.